There are lots of blogs participating in this hop so visit all and have some fun seeing what fun prizes are available. The Winter Is Coming giveaway here at Confessions of a Frugal Mind is for $10 PayPal Cash or Amazon Gift Card to one lucky winner. Winner can choose their preferred prize. This giveaway is sponsored by me as a small gift to one of my readers. Please enter using the rafflecopter form below and visit daily to earn additional entries. 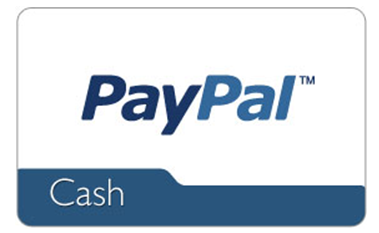 It is open to anyone with a valid PayPal email address. 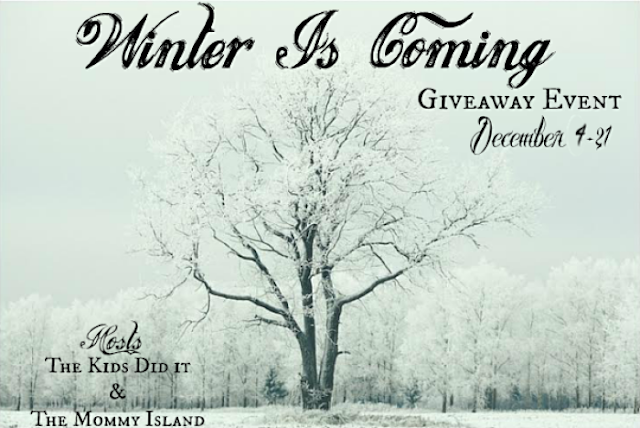 Giveaway ends December 21st. Good luck! I am prepared and have everything I need. I'm never really prepared as I hate the winter! I'm prepared for winter, just need some comfy pjs for my family. We are prepared for winter. Bought new shovel and snow brushes. As prepared as I'm going to be....warm, and cozy in the house and that's where I stay! I am in need of compression stockings. I am prepared for winter this year. I have a lot of thermals. I am prepared for it ... but hope it goes by quickly. We are prepared for winterand the puppy got a new coat. I am not really prepared for it. I am not really prepared... I just hope it goes by fast. I am prepared, I am ready to go into hibernation! I am already sick of winter. Yes, I'm very prepared for winter. All the winter clothes are ready. All the shovels and snow blower are ready. I am prepared for winter. My snowbrush has had a workout with ice and snow. Winter coats, hats, scarves and gloves also help keep me warm. My inch tall crocheted white yarn tree has colorful lights to welcome the season. Thick fuzzy socks keep the feet warm along with the fuzzy red blanket which reminds me of Santa. I'm not super prepared for winter, but it's usually mild here! One thing I could do is stock up on water and pantry supplies. There is no preparing to do where we live it does not get cold here. I'm already for the cold. There's not much preparation for winter in California. I'm never ready for winter or the cold weather. What I could always use is a home health care aide or a person to help dig my car out of the bad snow that we get. No such thing as bad weather,only bad clothes. I have warm clothes and warm boots and hats and gloves. I am not prepared. I need a new coat. I am somewhat prepared since it already started here with snow. I will need more gloves, the kids seem to lose so many pairs of gloves each year. I would really love some cold weather down here in Florida so hot and humid everyday. No, I really am not prepared this year. We had snow too early and have already used 2 snow days. It did warm up and all of the snow melted but we get lake effect snow almost every day. I need to pick up cold weather gear for my teen, he has outgrown all of his base layers. Leave a comment below: Are you prepared for winter this year? I think we are prepared. The fireplace is in working order, the cars have blankets in them in case of an emergency. I need to put up those plastic things on the basement windows. Yes I'm prepared. I need a warmer pr. of gloves. I need winter gloves, but otherwise we are set! we need to get some salt for our driveway. We had to put in a new air conditioning/heater in this summer so we are good there. We live in the south so we don't have to prepare really. I am not ready for winter but getting ready now. It is snowed here already and winter is here. I would love a heavy flannel blanket for the car just incase we get stuck during winter in the car. Yes, im ready for winter and the holidays. san diego doesn't really happen in san diego luckily! We are ready for winter because we have to be. Already into our second month of snow. A nice holiday. :-) anyway I'm prepared for the winter cold, I have hot chocolate, warm blanket, lots of books to read. I am not prepared for winter.... never am. I'm not prepared mentally for winter. I hate the cold. We are prepared for winter. I bought a new shovel, gloves and boots. As a resident of Florida I am always prepared for Winter. Easy peasy. We don't have much of a Winter in Texas, so I'm always prepared. Always prepared, we keep salt for our driveway and sidewalks handy. I'm ready with my winter clothing. I'm pretty well prepared this year, I just need another set of snowpants for my son. Yep, trying to be best prepared! No, I need a heated blanket. Yes, I think we are mostly prepared for winter. Could maybe use a new winter coat though! We could use some mittens for my daughter from Amazon! I could use some fuzzy socks and maybe a shawl as my bedroom gets quite cold. I'd like to have some heat holder socks to keep my feet warm this winter. I would like the Melissa & Doug Wooden Multi-Craft Weaving Loom: Extra-Large Frame for my niece from Amazon. I am prepared for winter. I hope we're prepared for it. I'm ready for winter! I needed a warmer coat, but I already got that. I could use a nice new warm pair of boots for the winter. I'm never mentally prepared for winter because I dislike cold weather but I have my portable heater ready to go. I need to get warm gloves for everyone. We are pretty prepared. I would love to get a new scarf but other than that, we don't need much. Our house is prepared, but I do need a good pair of boots. I need a heated blanket. We don't get very cold winter's so yes I'm prepared. I still need to buy a new hat and mittens but I did get out my boots! I need to buy a snow car scraper on amazon! I hate the winter so I have all my blankets handy. I am not totally prepared for winter yet. I’m always prepared for our very cold winters. I woke up to 8 degrees which is normal for our region. Yes I'm prepared for winter. I'm pretty prepared for winter, but it would help if I lived in the south lol. I am honestly never prepared for any season just kinda do the best I can and hope it all works out. I'm allergic to everything. We have plenty of wood for the stove to keep warm. I am somewhat prepared, but still have a few other things to do. I still need to get snow tires for my car. Here in Phoenix we live for winter! The mild weather requires no prep on our part and it means we can get outside for hikes and picnics, etc. We have made all the necessary preparations for winter. We are prepared. Warm blankets are a must for everyone. We are ready. Sweaters and hoodies are out, also blankets and fuzzy socks. Yes, living in Ontario we are always ready for winter. I think I'm prepared for winter this year. Living where I live we have already experienced really cold temps and snow. Everybody needs new coats and boots this year. I'm not prepared for winter. I need a scarf and some earmuffs. Yes, we're ready. It feels like it's already here. I am prepared for winter. We have a few quilts for the beds and plenty of wood in the woodpile for the fire place. I found & bought a new plush robe. Very comfortable now. Christmas won't be as bountiful as last year in gifts- $1000 went to emergency car repair this month. I just need a little extra funds to buy some cranberry supplements to ward off UTI for another month. I'm mostly ready for winter, but both of my boys need a pair of snow boots. I'm never prepared for winter, I really dislike the cold weather! We're pretty well-prepared. Looking forward to Spring already! We need to get a new shovel and some salt. I"d like the Wantdo Women's Mountain Waterproof Ski Jacket Windproof Rain Jacket. I am ready but I hope spring will come fast i don't like cold weather. We use wood stoves,so we stockpile wood. We are ready for winter, unless we get snowed in for long time, then I might have to chase down a cow and milk her. This area normally has mild winters, so there is not too much to do to prepare--just keep an eye on the reports just in case. I am ready for winter. We don't usually have harsh weather more than a couple of times each winter but we have already had a foot of snow this year so we will see what the rest of the season brings! I need the MANZOO Queen Comforter Duvet Insert to survive winter. I’m pretty much ready for winter. We live in Arizona so the weather is mild. I have my tea so I'm ready for winter. I am not prepared for winter. I never am. I am totally not prepare for this winter. I am mostly prepared; I may need a liitle more salt! We are prepared for winter this year except for ice melt...which I always have a tendency to run out and get it when I should just keep it on hand. I feel like I’m pretty prepared and trained for what winter can bring as I’ve always lived in the upper Midwest. Having your vehicle winter ready is huge. I need a scarf from Amazon. Im never ready for winter but this winter so far has been warmer than normal so hopefully it stays that way so we save money on heating our house. It is easy to prepare for winter because it never snows in my state. We have cold fronts so I just have to worry about washing all the warm clothes for when it gets cold out. It is currently 70 degrees right now. Most of the time it is in the 80s here. Yes, we are prepared. Can't wait for spring, though!! I am not prepared, not ready for the cold. I am not truly prepared. I live in a house that is nearly 100 years old. Still need to wrap these windows with plastic. Something I never look forward to. I'm as prepared as I'm going to get! I'm never prepared for winter. I make sure everyone in my family has warm coats, gloves and boots to keep them warm! I realize that I'm not prepared at all. I need more comfy clothing for the kids but can't afford it right now and we are just glad they have jackets. I am prepared for winter this year. I would like to get my kids extra hats and gloves as they seem to lose them quite often. We are prepared for winter with warm pajamas! I hate the winter months! It seems they last forever! But I am as prepared as I am going to be. I am never prepared for winter. I am a naturally cold person and need to turn on a small space heater and wear extra layers. We are prepared. So far pretty cold but not much snow. I'm prepared because we have mild winters in Texas. More blankets to be more comfortable. I'm prepared for the winter. Never. I need more blankets. We have already had a blizzard where I live. The icicles coming down were very dangerous as well. I was born ready. it's my favorite season.